A Calgary-based natural gas company has been ordered to pay $235,000 to wildlife groups after dead birds were found floating in one of its containment tanks in northern British Columbia. Painted Pony Energy Ltd. pleaded guilty in May and was sentenced last month for depositing a harmful substance in an area frequented by migratory birds. Environment Canada says enforcement officers found 14 dead migratory birds on the surface of an above-ground tank located north of Fort St. John that was used to store fluid for the hydraulic fracturing process. A B.C. 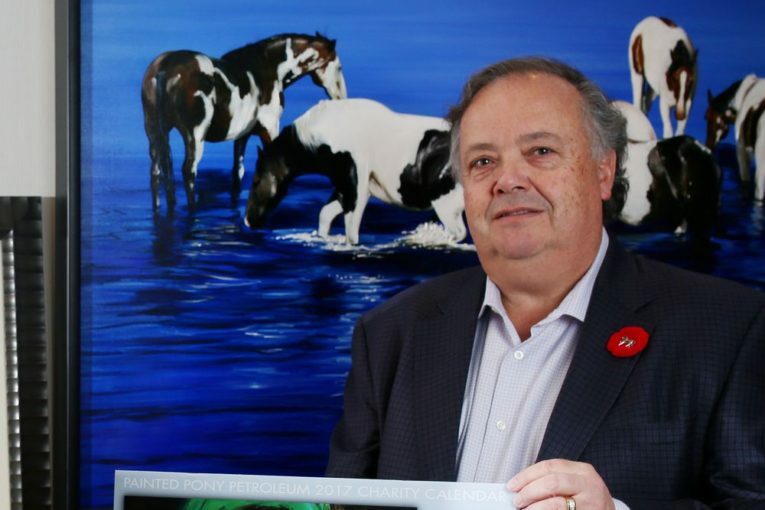 provincial court judge ordered Painted Pony to pay $115,000 to Ducks Unlimited Canada and $57,500 each to the Mackenzie Nature Observatory and to the Oiled Wildlife Society of British Columbia. Environment Canada says the company, which changed its name last year from Painted Pony Petroleum Ltd., has since installed equipment on the tank to prevent other birds from becoming trapped. The department says Painted Pony will be added to the environmental offenders registry. Next : Corporate Divestiture: Wolf Coulee Resources Inc.